This episode of the RumEtorial series is all about JOBBERS The mostly nameless, mostly useless, only around to get battered by (name goes here) on a regular basis. 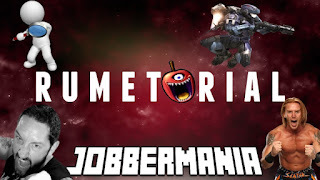 Video Game Jobbers Movie Jobbers it's Jobbermania! One would think jobbers are totally useless. However Jobbers maintain a unique importance to the universes they populate.